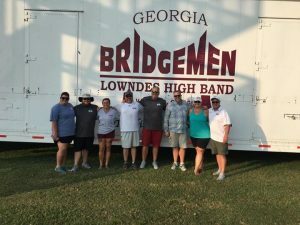 John Meehan, Brass Captionhead at The Blue Devils and product designer and educator at System Blue spent a few days with the Lowndes High Georgia Bridgemen this past week. 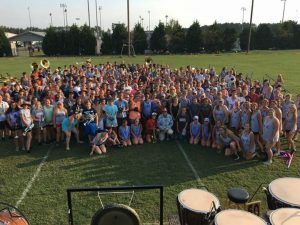 Both John and the high school marching band were excited to collaborate. 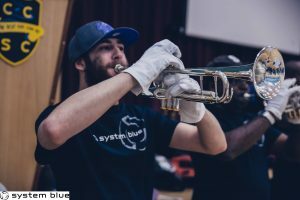 The Bridgemen proudly perform on System Blue instruments. For inquiries on how you can work with System Blue educators and perform on System Blue products, please email erik@systemblue.org. 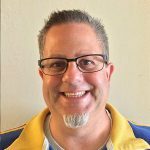 John Meehan gives advice on how to improve your brass range. 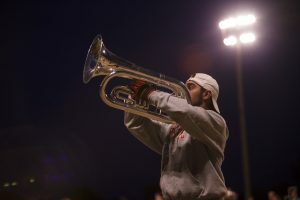 Part of the training regiment with a drum corps (and marching band), is learning to play through the center of the horn. This is something that should be focussed on heavily in band camp and early season rehearsals. 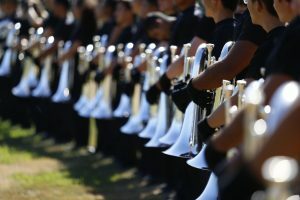 By learning to play in the center, and not “on top or bottom” of pitch, among other things, leads to better endurance during long rehearsal days. 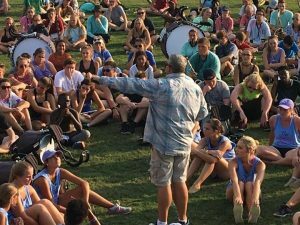 If performers are trained to play in the center of pitch when the weather is “normal” (say mid 60’s to mid 70’s), and not the common tendency to play sharp, this will pay dividends when the weather becomes warmer, especially summertime with drum corps. If performers have the tendency to play sharp, and the temperature is in the 90’s, the group will definitely have a “dull” sound to them, and seemingly have less endurance through rehearsals. Don’t severely react to the “sound” of the instrument (ensemble) as the weather gets ridiculously hot. When the tuning slide is pulled out almost all the way, the instrument WILL sound (and feel) differently. Nothing has changed with the performers or ensemble, it’s just, well, hot! 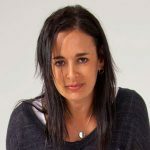 Put “warm weather ears” on if you are a director, and if you’re a performer, make sure not to purposely lip the pitch down, as you will lose endurance, create bad habits, and fight the muscle memory you’ve been working to build. Finally, keep the instrument in the shade when you can, and ALWAYS keep yourself hydrated! System Blue offers two Trumpet mouthpieces, the TR1 and the TR2. 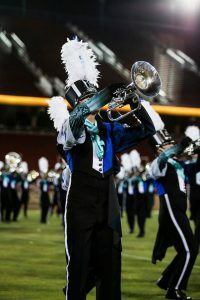 In general, the two mouthpieces are very similar, they both have larger back bores and throats, and like all of the System Blue mouthpieces, they have a UV (not ultraviolet :-), but a mix of a U-shape and V-shape cup), and slightly sharper bite to assist with clarity of articulation. The biggest different between the TR1 and the TR2 is the actual cup size. 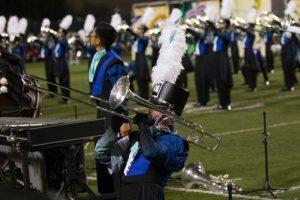 The TR1 is geared more for “lead” players and has a smaller cup, whereas the TR2 is more of a “section” mouthpiece, and has a standard Trumpet cup size. Both mouthpieces are designed to work best with the System Blue Professional and Traditional Trumpets, but work well with ANY Trumpet. We get asked all the time why a group would choose to use the SB30 Hybrid-Euphonium over a Baritone, or a Euphonium, or a mix of Baritones and Euphoniums. There are several reasons we usually respond with, and I will talk through a few here. 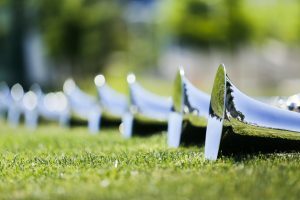 One of the main reasons we initially designed the Hybrid-Euph was to eliminate the need to use two different low brass voices (which The Blue Devils did for many years). When two voices are used (say a Baritone for the leads, and Euphonium for the lower parts), and then a unison line is written for the full low brass section, intonation issues will arise that are inconsistent between the two instruments. By using the one instrument, all of the tuning tendencies are now similar from player to player. The Hybrid-Euph borrows parts from a Baritone and a Euphonium, as well as has some custom parts made specifically for it. The “front-end” of the instrument is more Baritone, and the “back-end” is more Euphonium. Because of that, lead players will still be able to climb the register and play with a great top end sound, while the lower parts can still play with a “beefy” sound in the low register. As you can see, the SB30 Hybrid-Euphonium covers all the bases musically, as well as it is weighted so performers from high school students to world class drum corps members can perform and maneuver it with general ease (although it is still a large instrument, we’re not talking about a Trumpet here :-).